Hello. I'm Ashish Karia, Centre Director of Mathnasium of Brampton East, your neighbourhood math-only learning centre. We help kids in grades KG-12 understand math by teaching the way that makes sense to them. Mathnasium of Brampton East offers tutoring only for mathematic, homework for kids, and test to help students in the Brampton & Caledon East communities. Our expert Math staff are passionate about providing math help and encouraging kids in our community to improve and excel in math. We offer both year-round and summer only math programs, as well as March Break Camp and Summer Camp. Sign up within our first 90 days and get 1 month free for any student you register! Grand Opening Special! 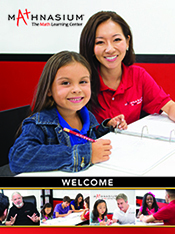 Any student you sign up with Brampton East Mathnasium will get $150 off their lifetime registration fee! Take the first step towards providing your child with a solid math foundation. Give us a call to schedule your free trial session! Our meeting will give you and your child a sense of who we are, what we do, and how we can help. Call or complete the form on the right to get started. Book the Risk-FREE Assessment. Call 289-707-MATH (6284) Now!